How to Marry a Rake is set in Newmarket, in the popular–and expensive–world of horseracing. Lord Stephen Manning has worked hard to build a racetrack on his ramshackle, inherited estate and he’s dead set on making it big with the racing set. But if you are picturing smooth oval tracks, large elegant hats and mint juleps, think again! 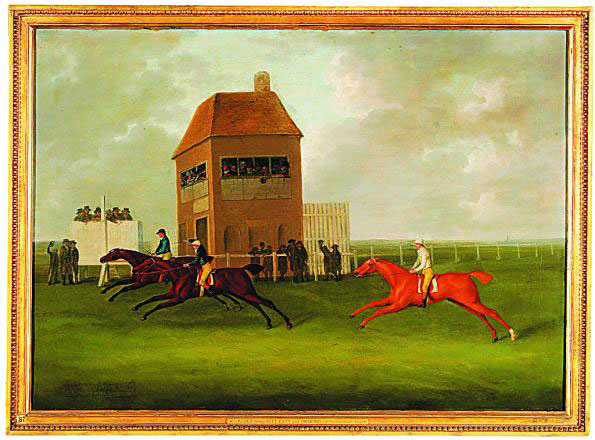 Racing in the Regency was quite a different spectacle than it is today. The Racing season began just after Easter and lasted into September. The dedicated racing crowd traveled frequently, moving between the big races and the major racing towns. The atmosphere was often festive and more casual than we might imagine. Not every big track had a grandstand, and spectators often pulled their carriages right up to the course posts. Some enthusiasts even joined in with the last leg of the race and rode in to the finish with the winners! The tracks were not all flat ovals as they are in the U.S. and on many English tracks the race was run clockwise. One Newmarket course was straight, with the finish up a hill. The St. Leger was shaped like a pear. Epsom Downs was shaped like a U, with a climbing start and a downhill finish. 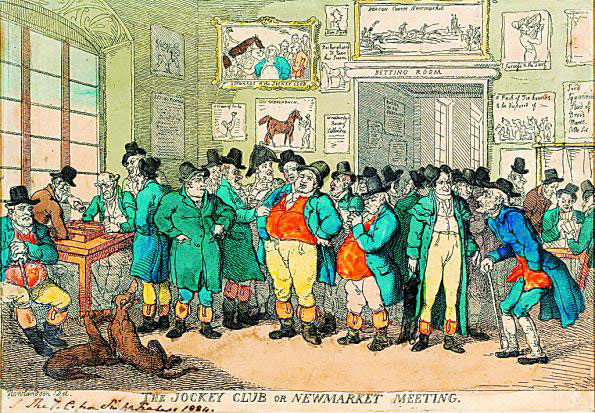 Gambling was rampant, and accomplished through ‘legs’ or ‘black legs’ who took bets to ‘make a book.’ And although the Jockey Club had evolved by the time of the Regency, in an effort to organize and regulate racing, still interference, attempts to rig races and influence outcomes were common. Jockeys were bribed. False starts were forced, sometimes over and over, in order to unnerve high strung Thoroughbreds. Feed was increased to slow a horse down or sometimes even poisoned. Favorites were lamed or fed opium balls to keep them from performing as expected. It all makes for an exciting backdrop for a romance! and when Stephen reunites with his old nemesis, Miss Mae Halford, he might even find that the most challenging race is the one for love.